One of the best things about RV life! 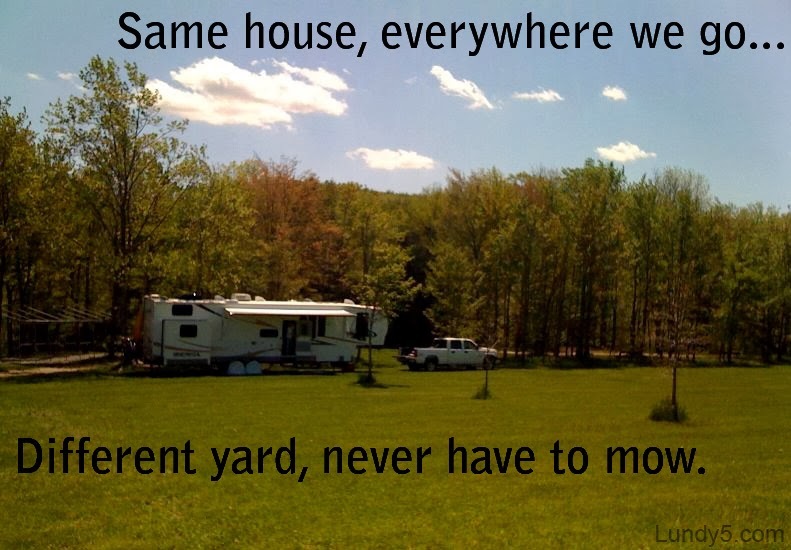 I've also noticed most of our favorite camping spots are desert, lava, white sand, etc, all places you wouldn't have to mow anyway. :) I saw this saying somewhere and wanted to find a pic for it. I couldn't find the original quote after searching, so I can only credit as unknown. Brilliant though!